Police officers found another dead body, this time at a beach in Chalan Kanoa. This was the second case of a body found in over two weeks with no specific cause of death. Department of Public Safety police found the dead body during routine inspection last Friday. 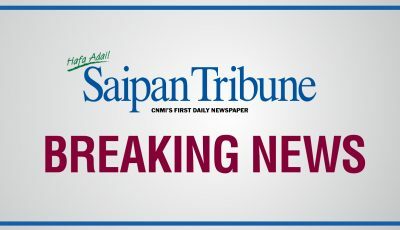 As of 4:40pm yesterday, DPS has yet to respond to Saipan Tribune inquiries or release specific details about the body, including cause of death. Back in March, police also found a dead body in a home in Kagman. Police have yet to release further information about that case, including the gender, name, age of the individual, or whether a formal autopsy had been conducted. According to a department statement yesterday, police officers were doing a routine patrol around the village of Chalan Kanoa last Friday, April 5, at approximately 12:05am, when they noticed by the beach side a person who appeared unresponsive and did not reply to questions. The two police officers were patrolling CK’s district 4, when they noticed the male individual lying under a concrete bench. One of the officers noticed that the individual did not look like he was breathing, so both officers got out of their vehicle and notified dispatch of their location and to have medics on standby. As they approached the pavilion, the officers asked the person several questions and got no response. One officer noticed that the victim’s feet were cold to the touch and the other officer noticed that the man had no pulse. The officers immediately notified the DPS central office to summon medics, crime scene technicians, and also requested the assistance of the Criminal Investigative Bureau. At about 12:15am, medics arrived at the scene and were briefed by the officers on what they discovered. Shortly after, CSTs arrived to document the scene as CIB detectives investigated. At approximately 1:20am, the body of the victim was brought to the Commonwealth Health Center for further examination. Dr. Rodney Klassen pronounced the victim dead at about 1:25am.